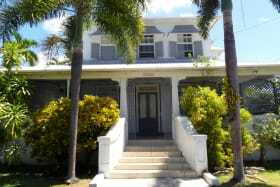 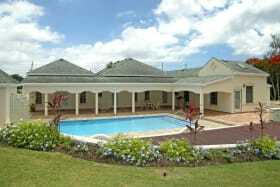 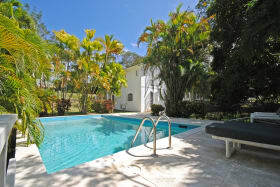 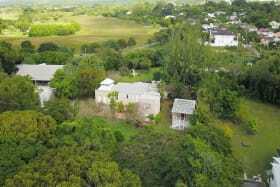 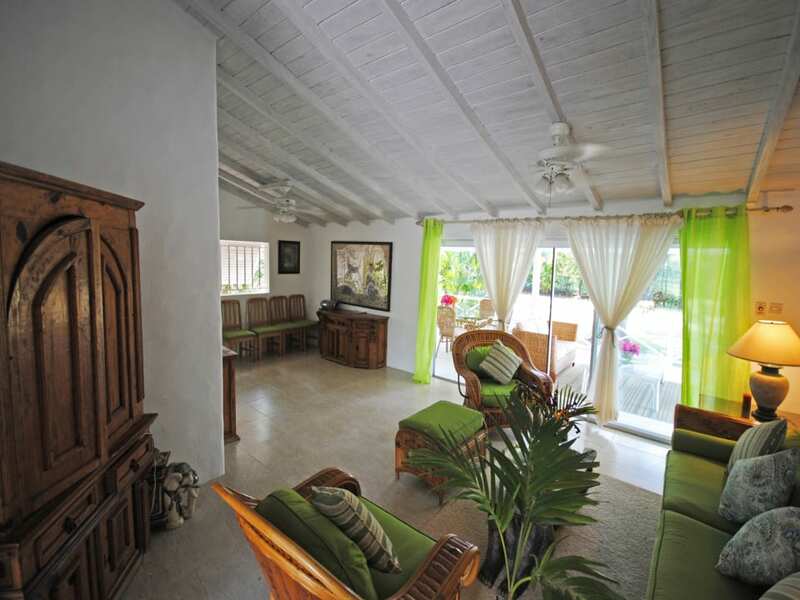 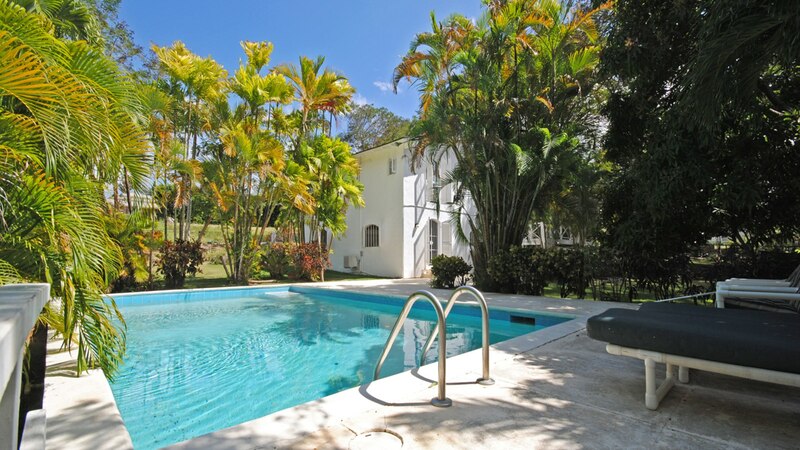 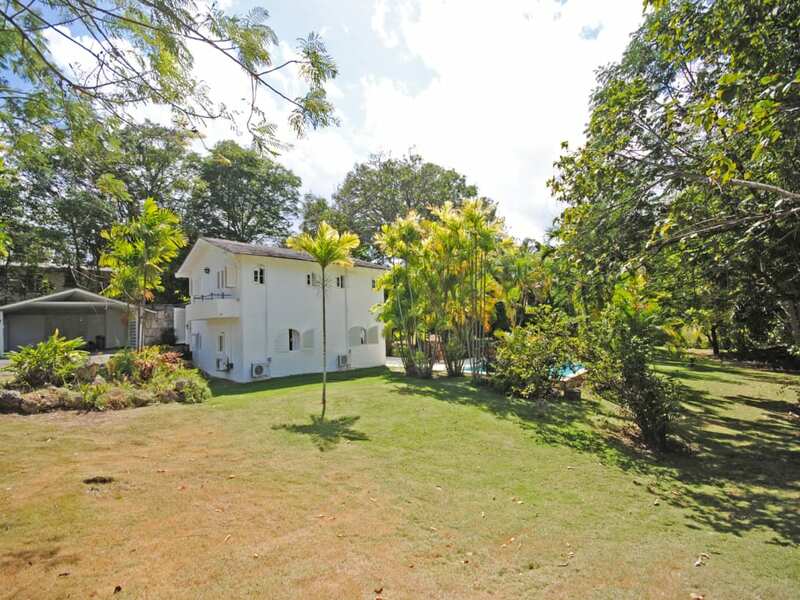 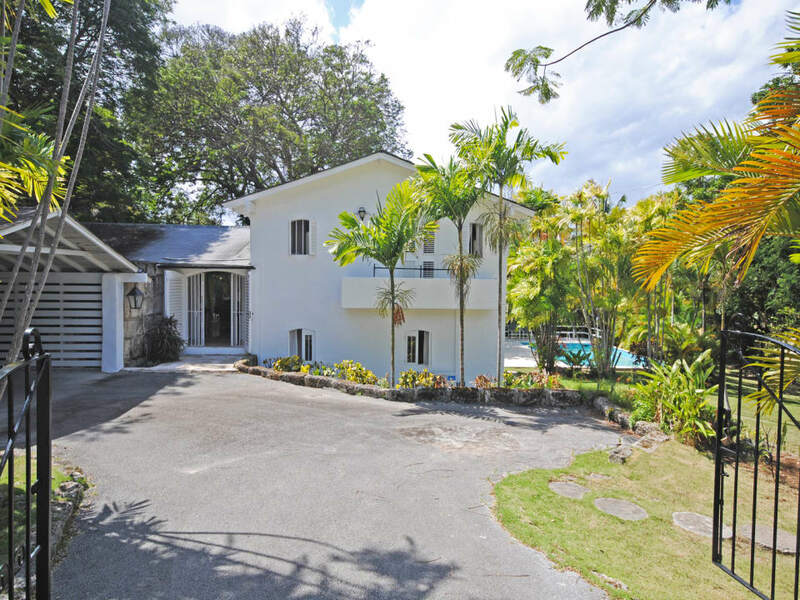 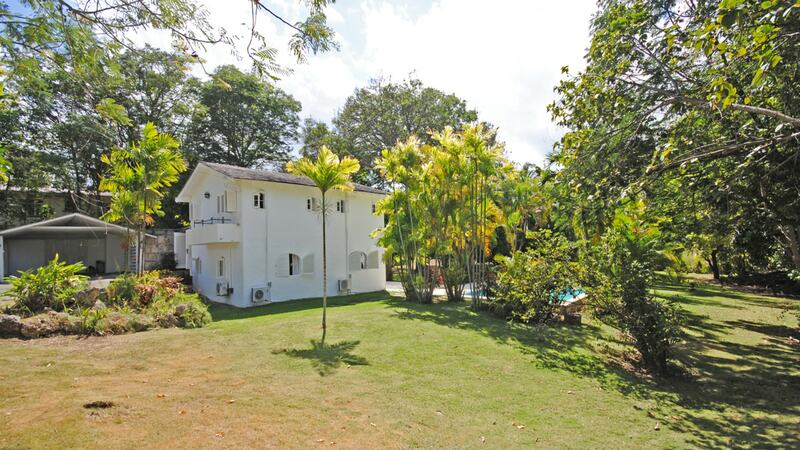 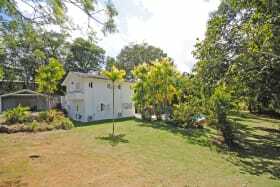 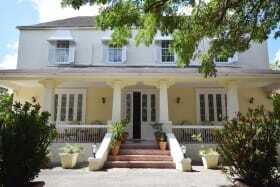 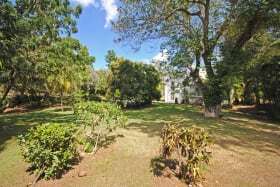 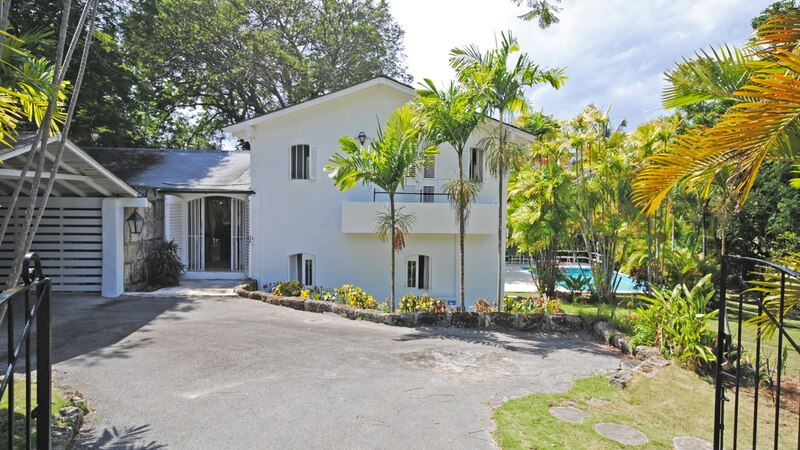 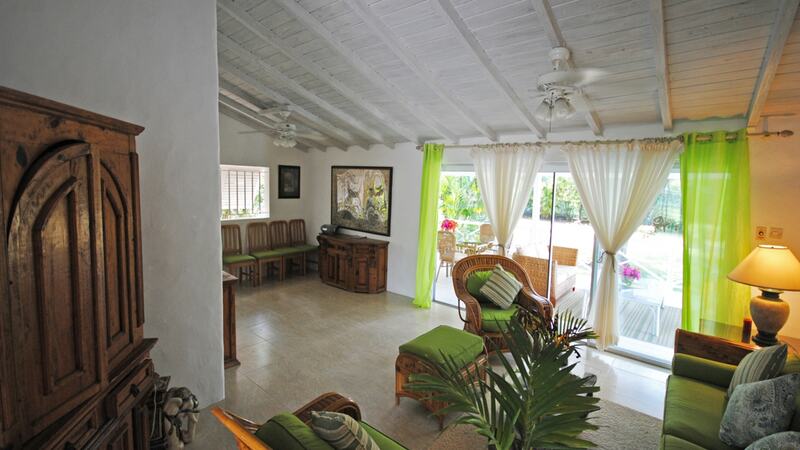 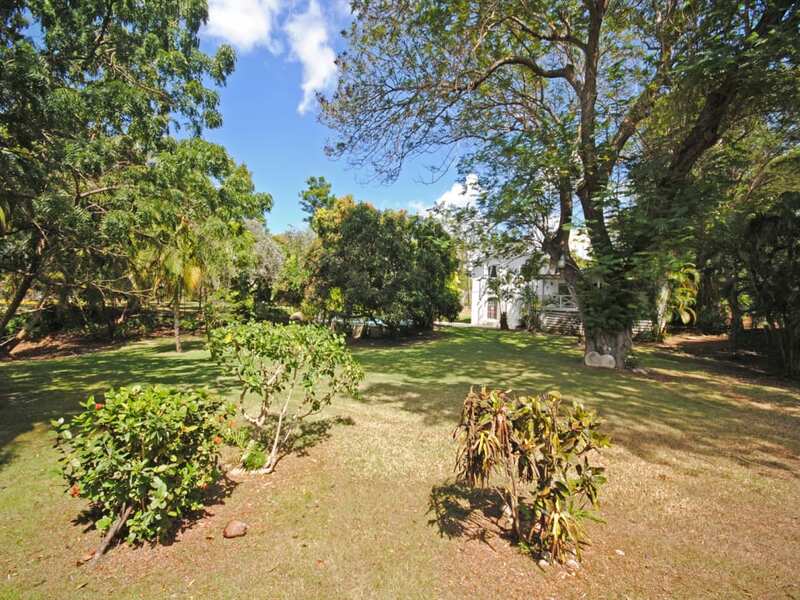 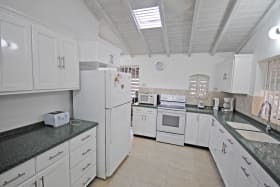 An attractive 3 bedroom house with swimming pool, on nearly an acre of land within walking distance of Gibbs Beach. 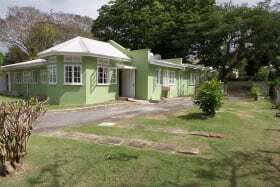 This property sits on 4 lots of land and therefore offers great potential for further development. 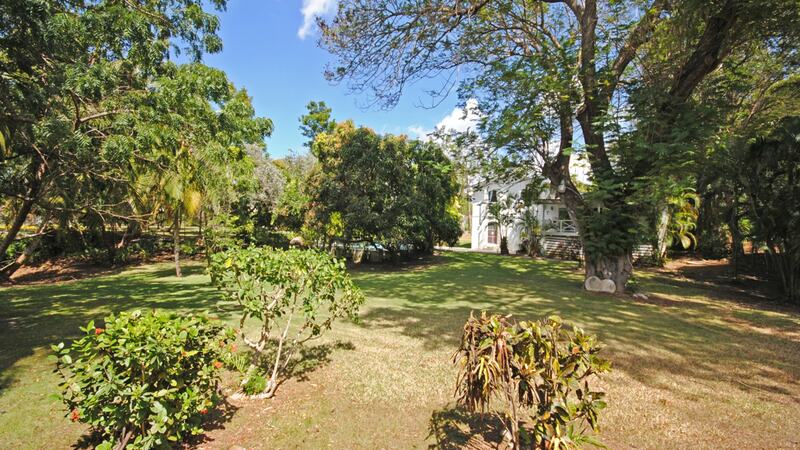 The neighbourhood is quiet and well established and there are many shady trees. 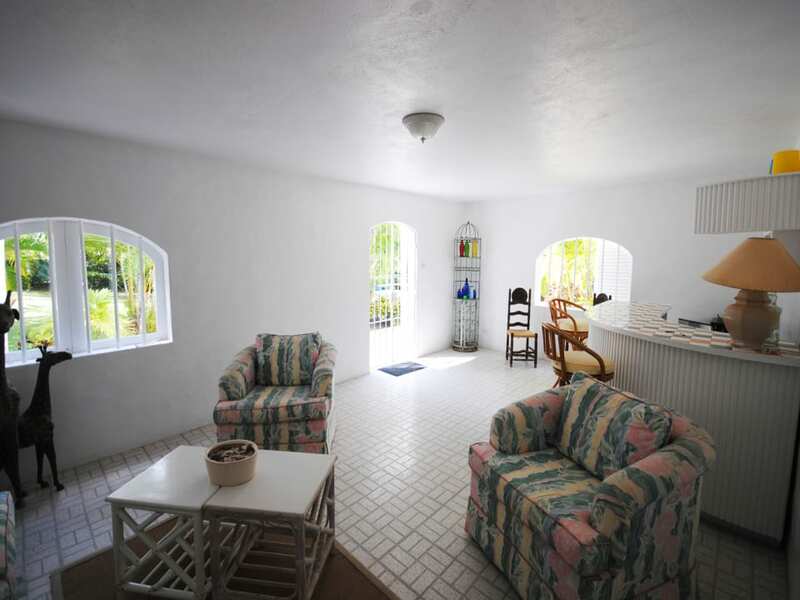 Glade House is split level in design with the kitchen and living room on the main, entrance level. 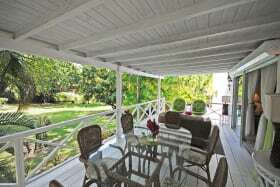 The living room opens through sliding glass doors to a covered verandah with wooden floors where this is dining and a lounge area. 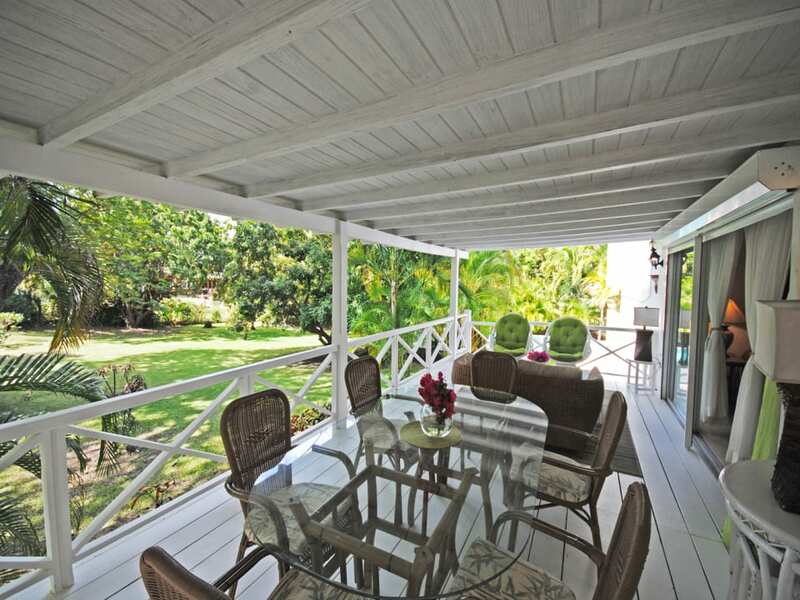 This verandah is elevated over the lawns and garden and offers lovely green shady views. 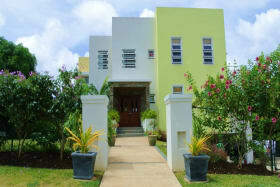 Steps lead from the verandah to the expansive grounds as well as the inviting swimming pool and surrounding deck. 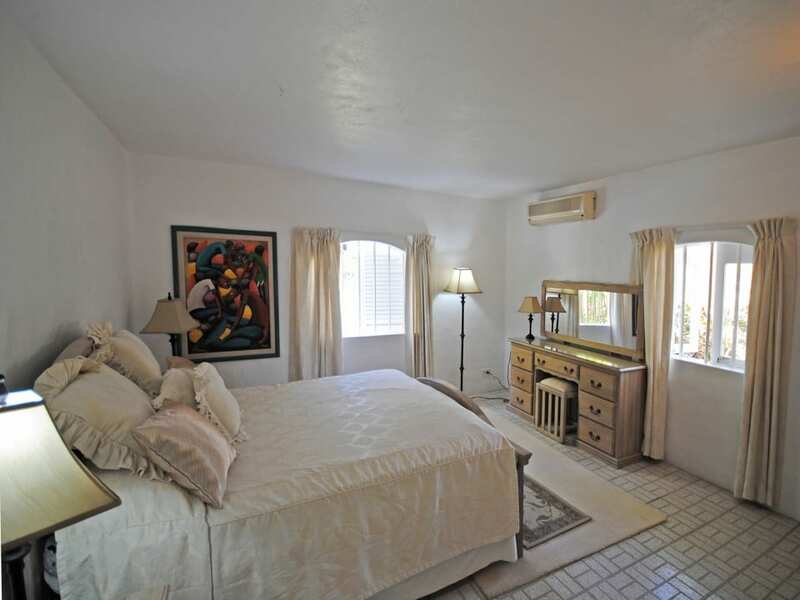 Up a few steps up from the entrance level you will find three bedrooms - two double rooms and one single. 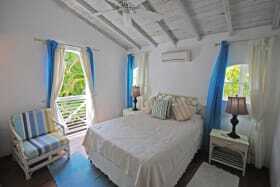 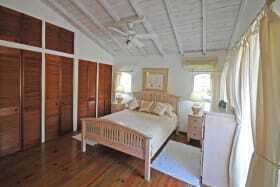 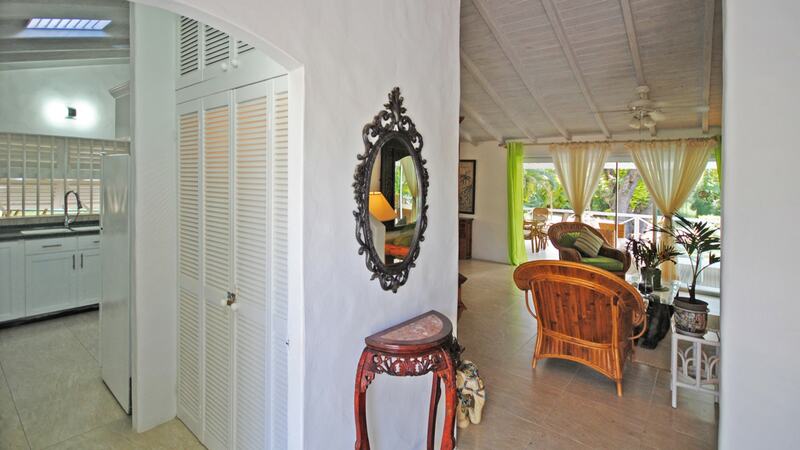 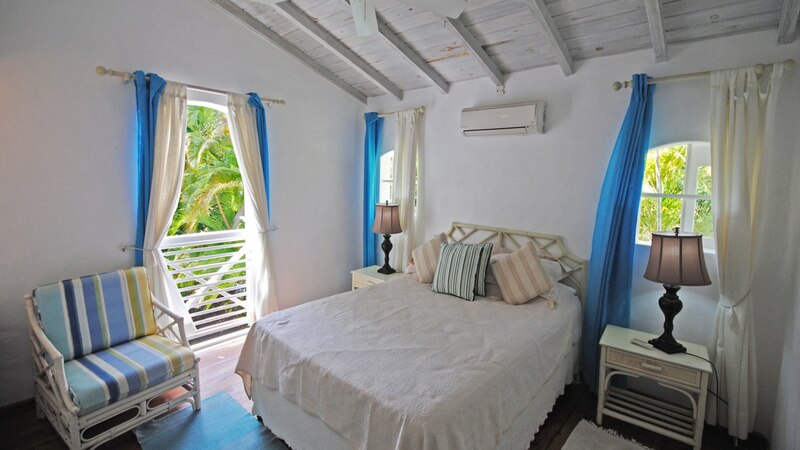 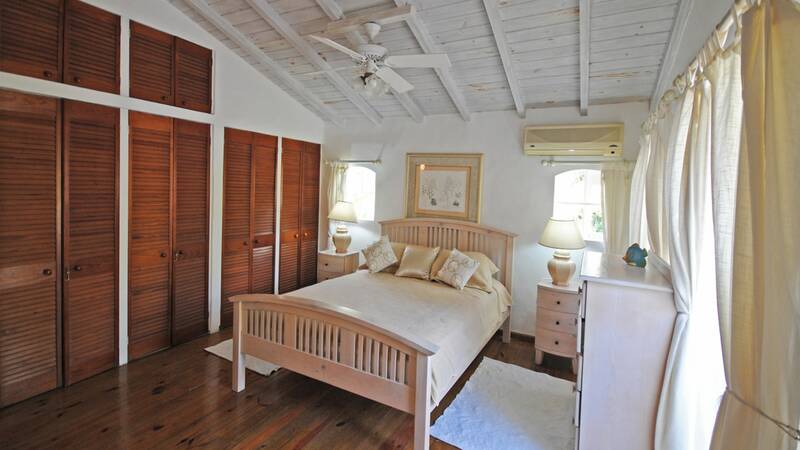 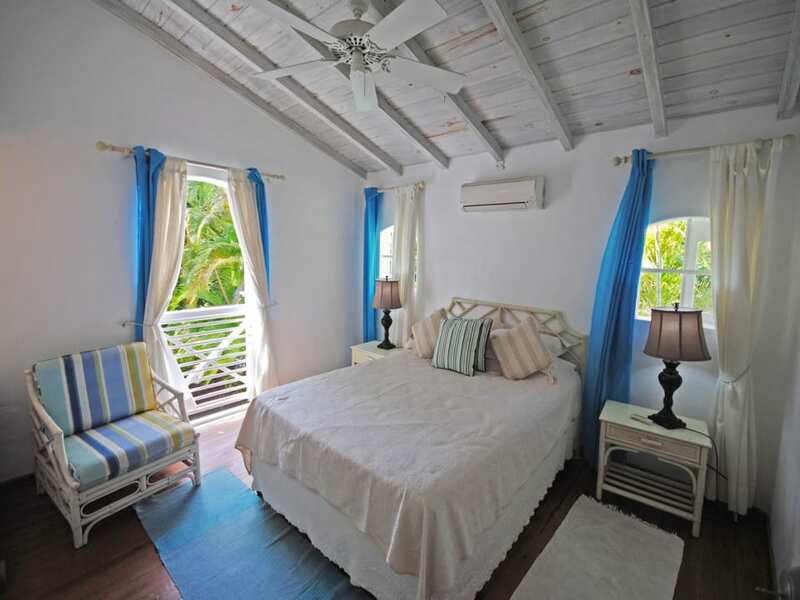 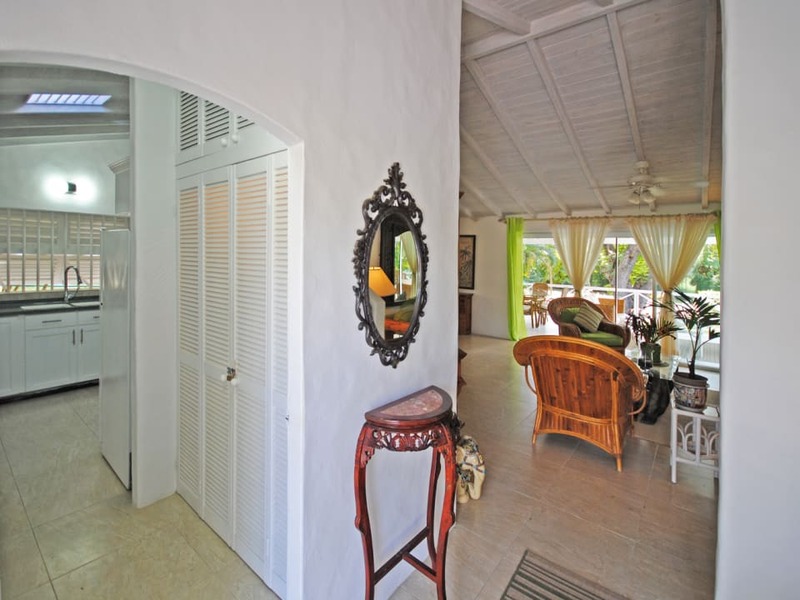 The master bedroom has a step out balcony and benefits from the easterly tradewinds. 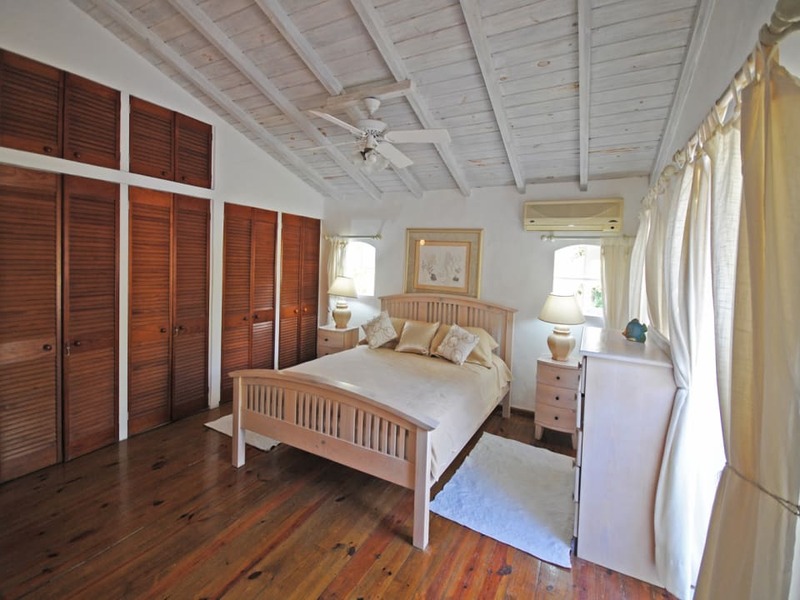 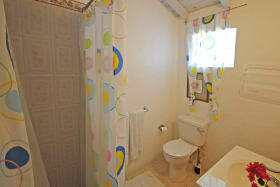 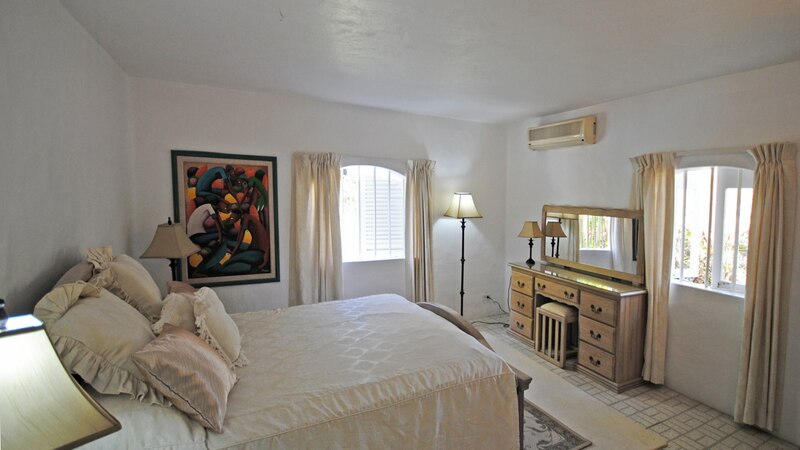 All the bedrooms have built in cupboards, are air-conditioned and have ceiling fans as well. 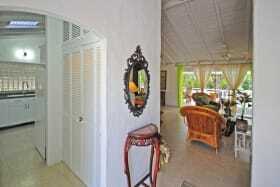 From the entrance level, a few steps lead down to the fourth bedroom, bathroom and spacious lounge with a sit up bar. 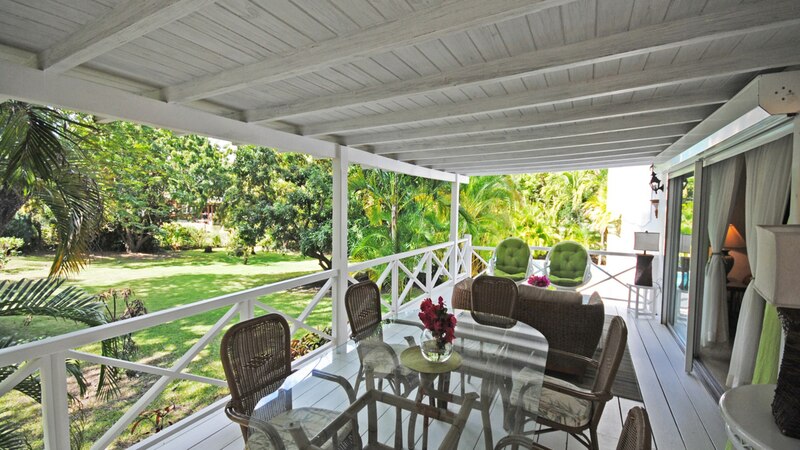 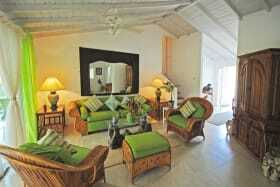 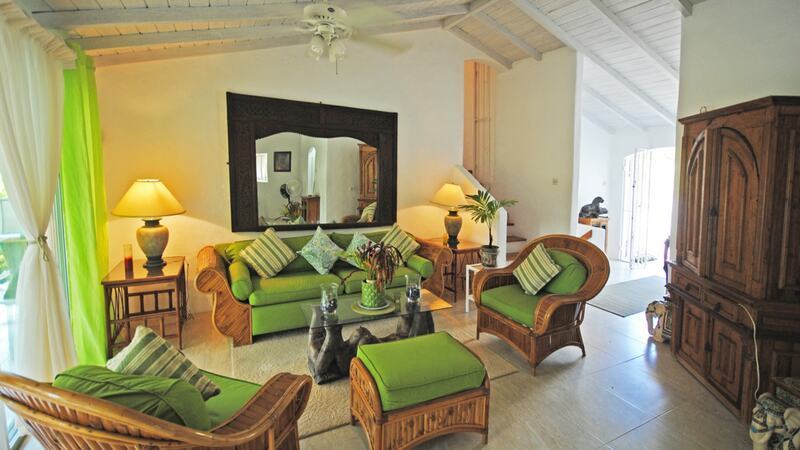 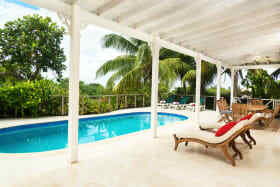 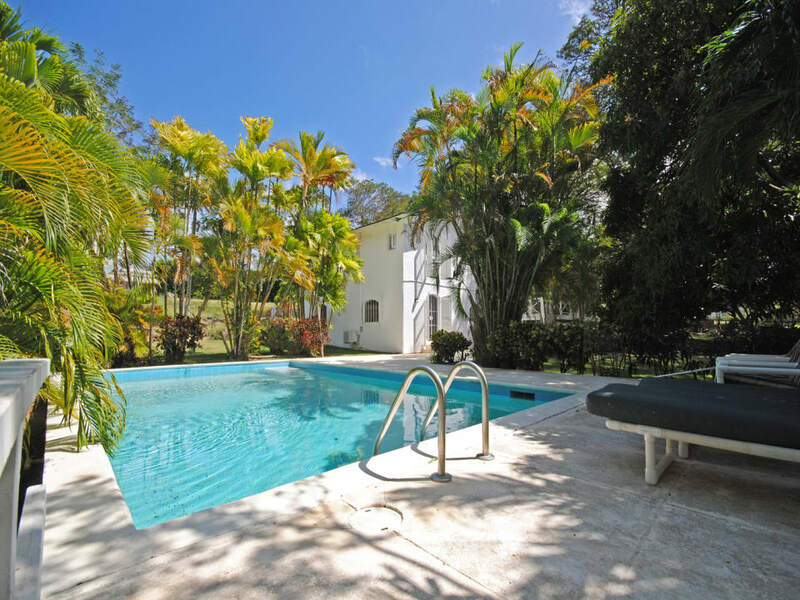 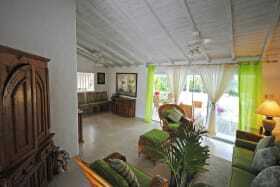 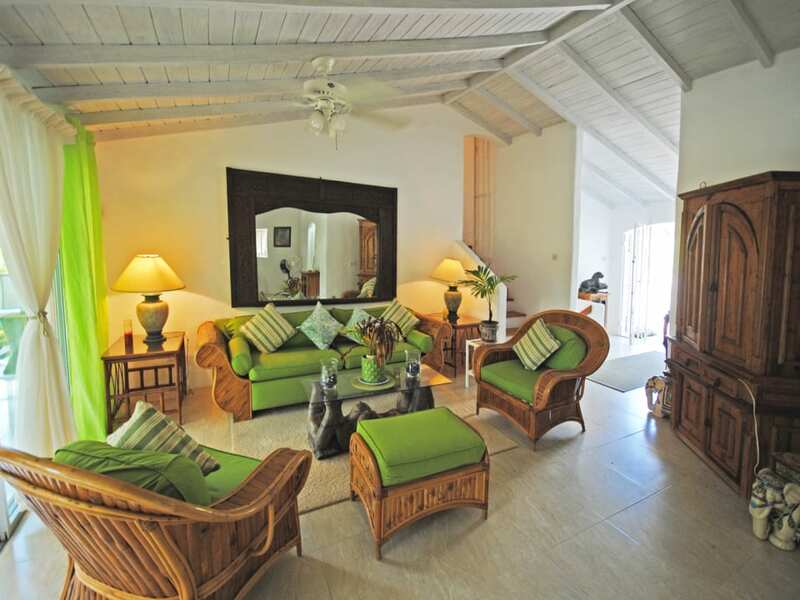 There is direct access from this entertaining area to the pool terrace and garden. 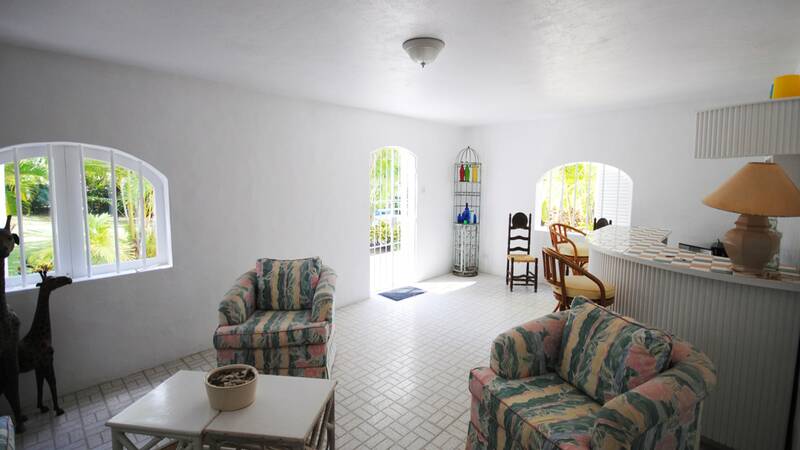 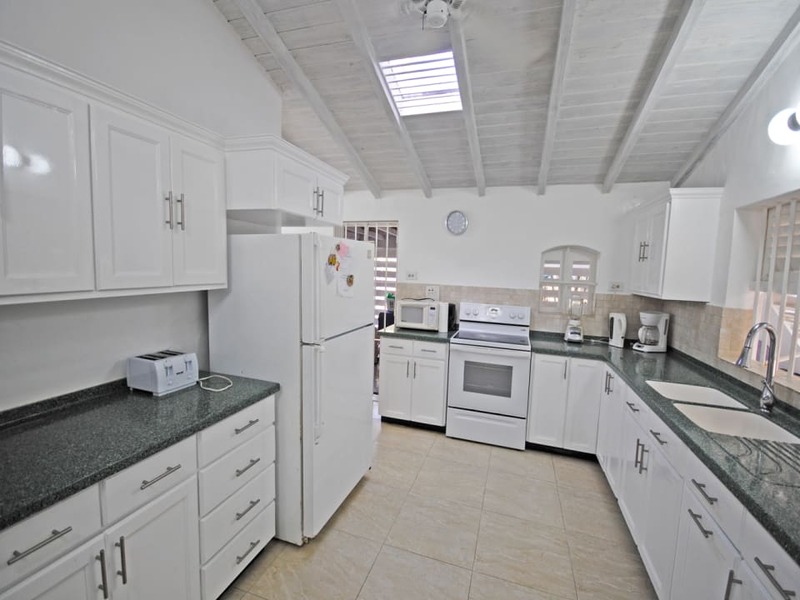 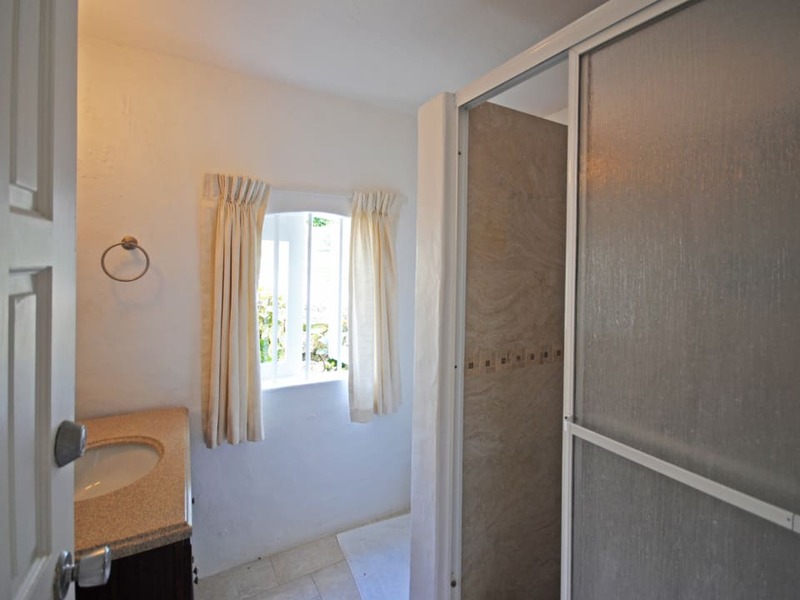 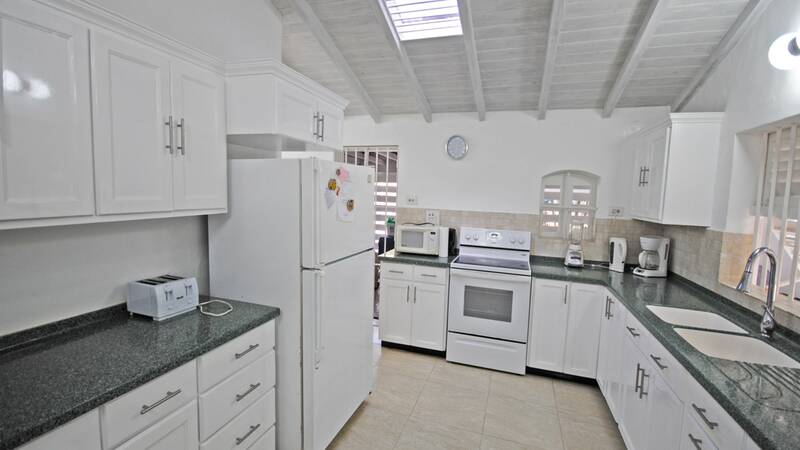 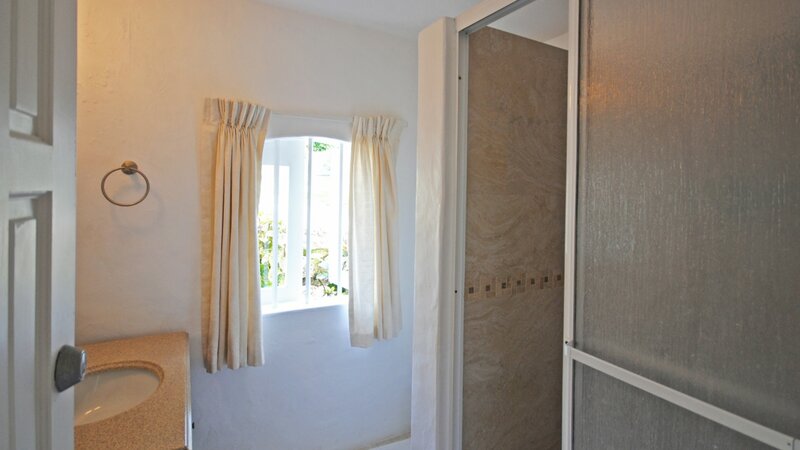 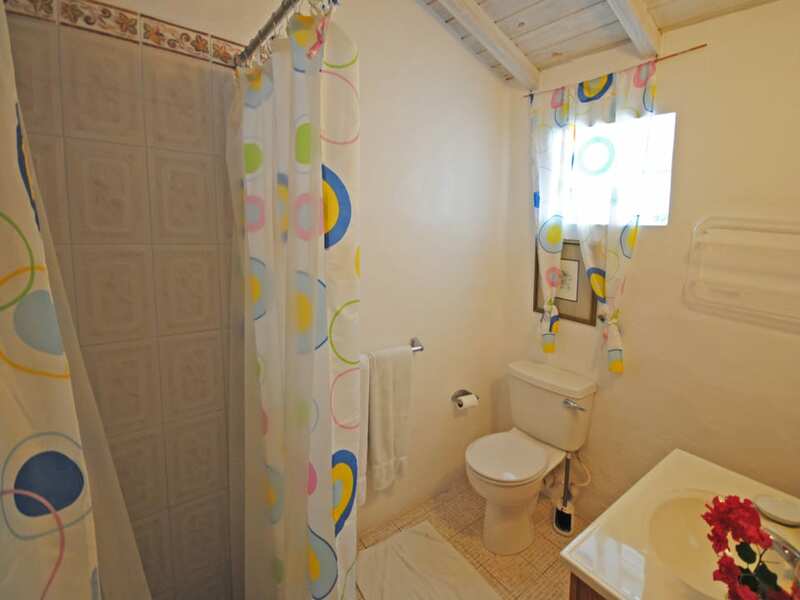 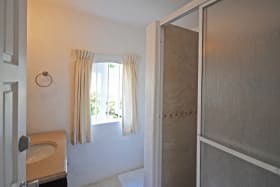 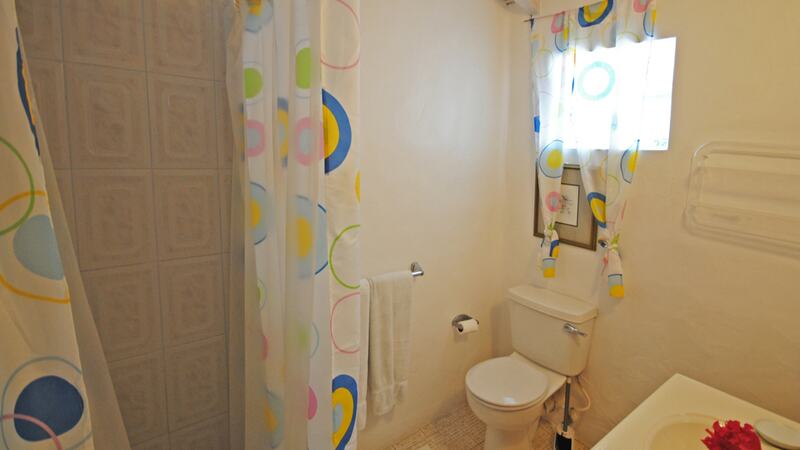 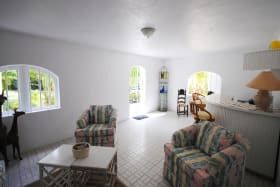 There is also a utility room off the kitchen, a car port and the entire property is enclosed. 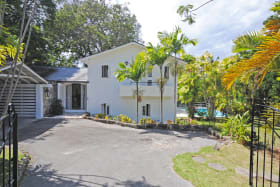 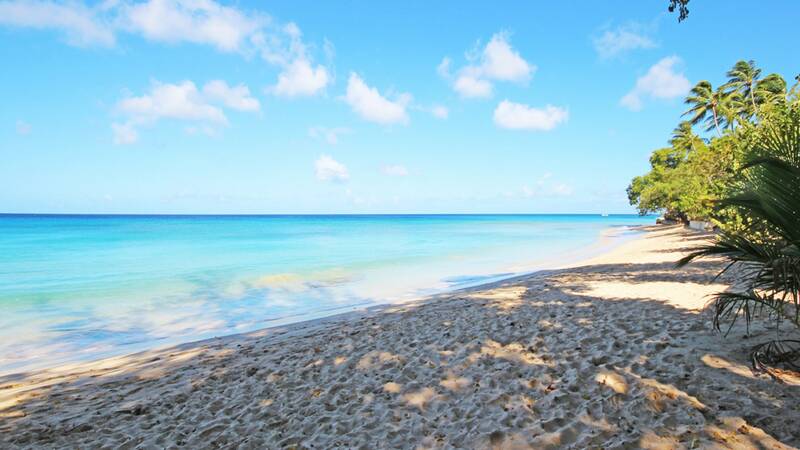 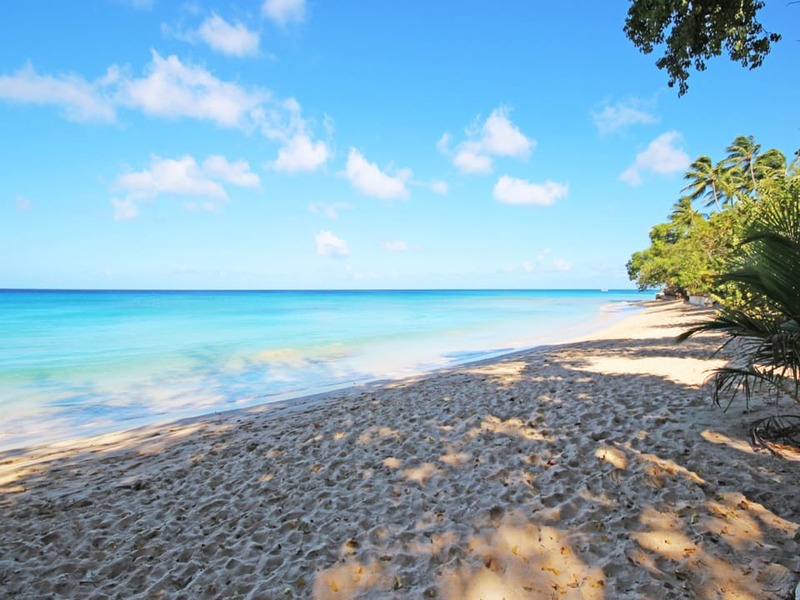 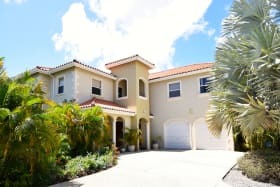 Beautiful Gibbs beach is a 5 minute walk away and the property is well set back from the road.